My son had an 8am soccer game Saturday, and since we finally made it 5 minutes early to a game, though everyone else was late, we had a few moments to kill. 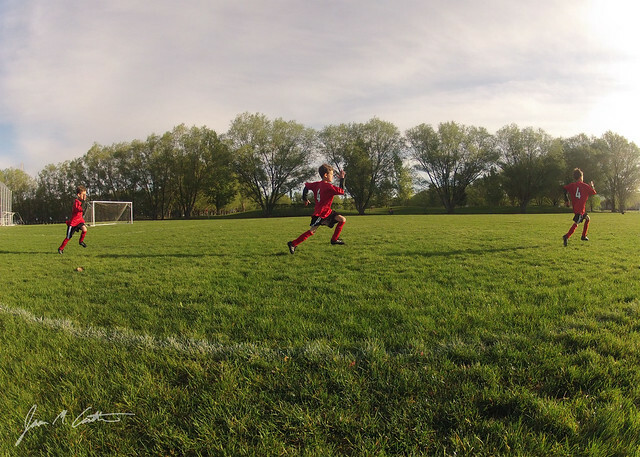 I whipped out my GoPro and had my son stand at one side of the field, about 10-15 feet in front of me. I set the camera to take a single photo every .5 seconds, and told him to start running. I took the three photos that had my son positioned right and merged them together using Photoshop. The thing I like most about the photo is the shadows that are evenly positioned in between each image of my son. What’s your favorite part of the photo?